Melinda has just moved to a new town, and her house is near the local pond. It's a fun place to visit in all seasons, but winter is the best. Students will read the passage and answer follow-up questions about setting and other story elements. Melinda's family moved to a new house in a new town in June. Their new house had an extra bedroom for visitors to sleep in. It was at the end of a short street lined with tall maple trees. Best of all, there was a pond across the street. Everyone called the pond the Frog Pond, but there weren't any frogs there. "That's just what people around here call a small, shallow bit of water that doesn't ever have much water in it," Dad explained. "I think they should call it the Turtle Pond instead," said Melinda. "There are lots of turtles there that like to crawl up on the shore to sit in the sun." 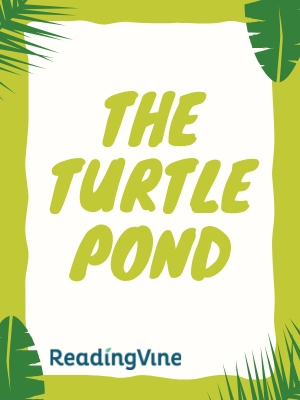 From that day on, Melinda's family called it the Turtle Pond, even though no one else did. Every day that summer, Melinda took a walk around the pond. There were sunny spots and shady spots, and a small wooden dock that people once used for boats. Melinda liked to sit on the dock and splash her feet in the water. Melinda also met many children at the pond, so by the time school started, she had plenty of friends already. As autumn drew nearer, Melinda saw less of the turtles, who were spending their days deep under the water and slowing down for the winter. As the maple leaves turned bright red and fell to the ground, the pond was filled with big, brown geese. The geese would honk loudly as they stopped for a rest, but they never stayed for long. They were in a hurry to fly south for the winter. Each day was colder than the last, and Melinda didn't spend much tie at the Turtle Pond anymore. One day on her way from school, she noticed that the pond looked foggy. "What's wrong with the water, Dad?" "Nothing," Dad replied. "That's just ice. The pond is starting to freeze for the winter. When the ice is thick enough, we can go ice skating." Melinda was excited. She couldn't wait to glide across the pond on her skates. A week later, Dad work Melinda up very early. "The ice is ready!" he cried. Dad and Melinda crossed the street to the pond and sat on the dock to lace up their skates. The sun was barely up and it was very quiet. The ice was perfectly smooth on the surface, though Melinda could see some fall leaves trapped in the ice below. Melinda stood up carefully and stepped off the dock. With one push, she was flying across the ice with the cold air rushing past her. Dad caught up, and together they made long, looping circles across the ice. Soon other families would wake up and come to skate, but for now they had the whole pond to themselves. 1. Describe Melinda's new house. 2. What animals does Melinda see at the pond? 3. How does Melinda feel while skating? 4. Which season would be your favorite at the Turtle Pond? Why?